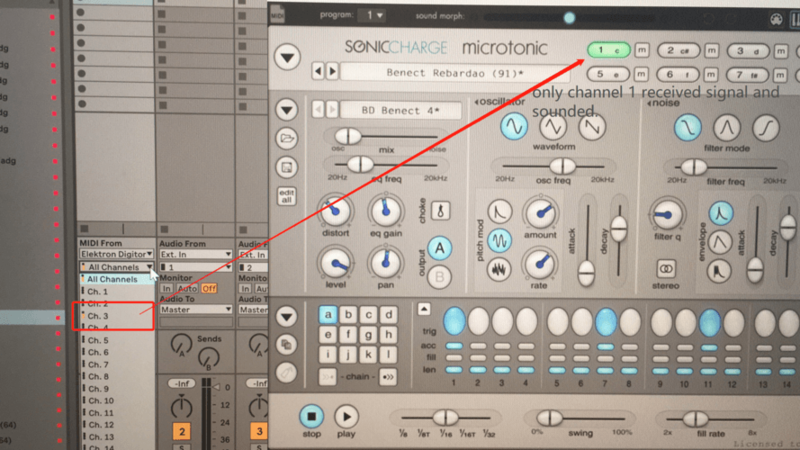 This is actually an issue with Ableton Live and it is not specific to Microtonic. The popup you have open in your screenshot is the "MIDI From" menu where you choose which MIDI channel Ableton listens too. Unfortunately it then sends MIDI to Microtonic on channel 1 regardless of the input channel. Hi Magnus,This issue is fixed in newest ableton live.now it works perfectly.